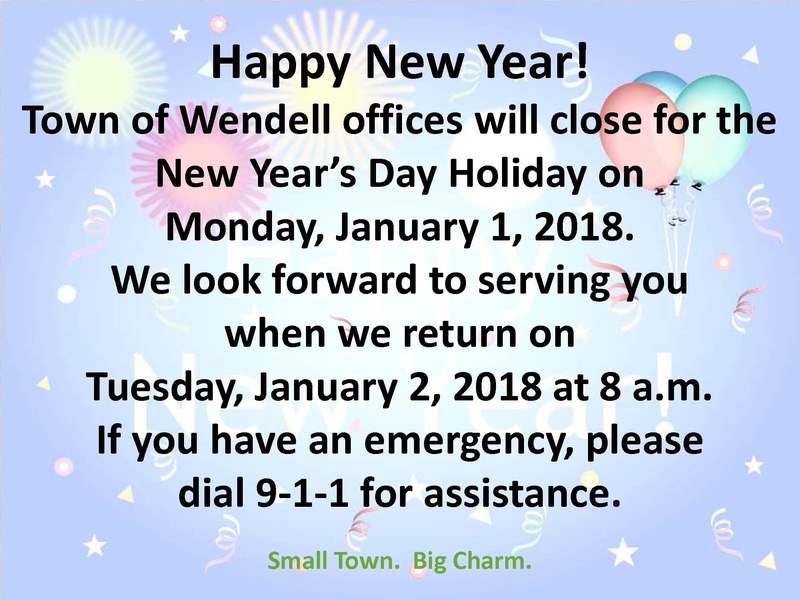 Town Hall will close for the New Year's Day Holiday on Monday, January 1, 2018. We look forward to serving you when we return on Tuesday, January 2, 2018! Waste Industries is closed on Monday, January 1, 2018. Roll your trash cart to the curb Monday evening for pickup on Tuesday, January 2, 2018.